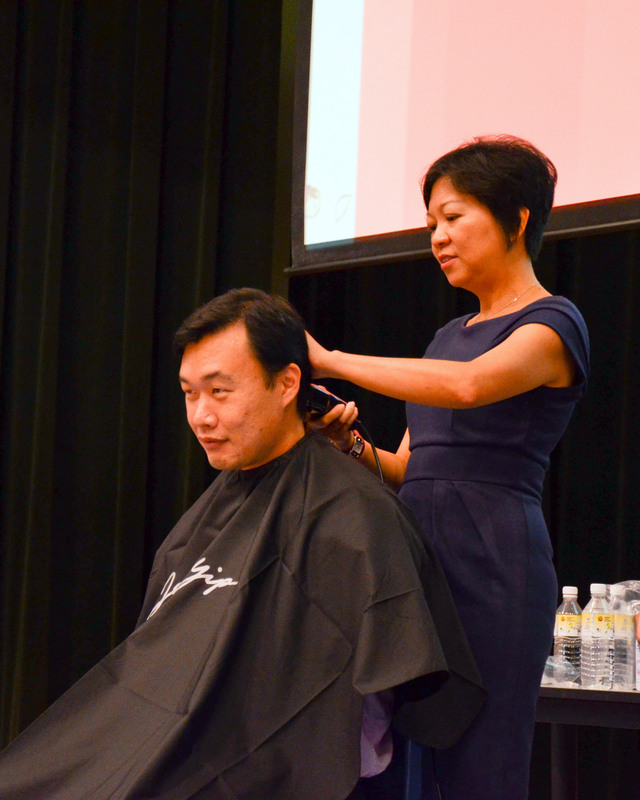 More than 200 students and teachers shaved bald to show their support for children with cancer at Wednesday’s Hair for Hope 2012, a satellite event organised by the Raffles Community Advocates together with the Children’s Cancer Foundation (CCF). 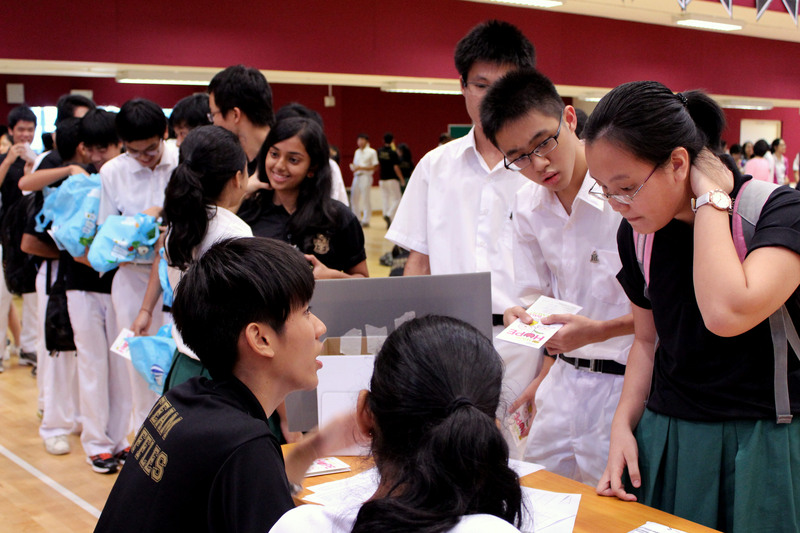 The money collected from the pledge-card donation drive will go towards funding CCF’s services such as their social work and counselling programs. However, the more controversial question associated with this annual shaving event is: Will going bald really make a difference for children and families impacted by cancer? Indeed, many shavees have cited similar reasons for shaving. RI’s Discipline Master Mr. Tan Boon Poh proclaimed ‘I want to show my support for cancer patients’ on his whiteboard (given to all shavees for photo-taking) after his ceremonial shave. There are also others who have had more personal experiences that inspired them to pursue this noble act. One such shavee is Emiline Elangovan (13AO1E), who described her encounter with a bald girl who was being made fun of by other children. This moved her so much that she thought then: “If I had been bald like her, if I could have just smiled and let her know I was there, it would have made a difference.” To Emiline, the act of shaving is not only about raising funds or symbolism. “I’ll be able to raise more money and my hair can actually go to make a wig. It does make a difference to someone out there. I was motivated to do it in the hope that it would.” She said. 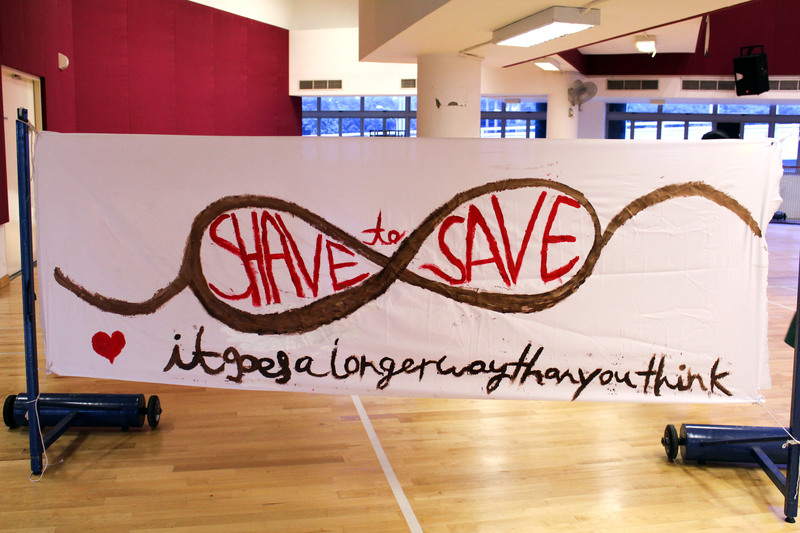 However, there are those who may be more doubtful about shaving’s effectiveness in raising awareness for childhood cancer. Perhaps the root cause behind the scepticism is the lack of a personal touch to let the shavees know that their work is indeed very much appreciated. A personal experience like Emiline’s can be a powerful inspiration, but not everyone will have such encounters. It is possible that more can be done to elicit such emotional responses among the volunteers and remove any qualms they may have. Perhaps in the future, a simple video showing childhood cancer patients and their families gaining encouragement from knowing they have the support of Hair for Hope shavees, or a trip to visit children with cancer can enable shavees to recognise the significance of their contribution, and motivate them to continue showing their support for the fight against childhood cancer.